China’s Ministry of Education reports that total foreign enrollment in the country reached almost half a million international students in 2018. This figure represents a 0.62% rise in 2017 enrollment data, furthermore points to a collapse in growth when compared to double-digit increases observed in the last decade. 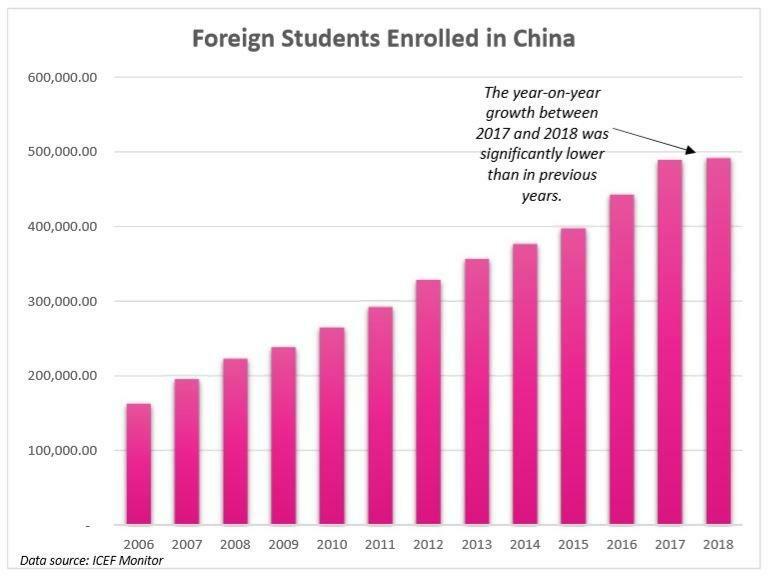 ICEF (International Consultants for Education and Fairs) Monitor, a market intelligence resource for the international education and student travel industry, noted that foreign enrollment in China expanded per annum on average 10% between 2006 and 2015. During 2017 to 2018, y/y growth fell to less than 1%, indicating that international students have begun to shun Chinese schools. 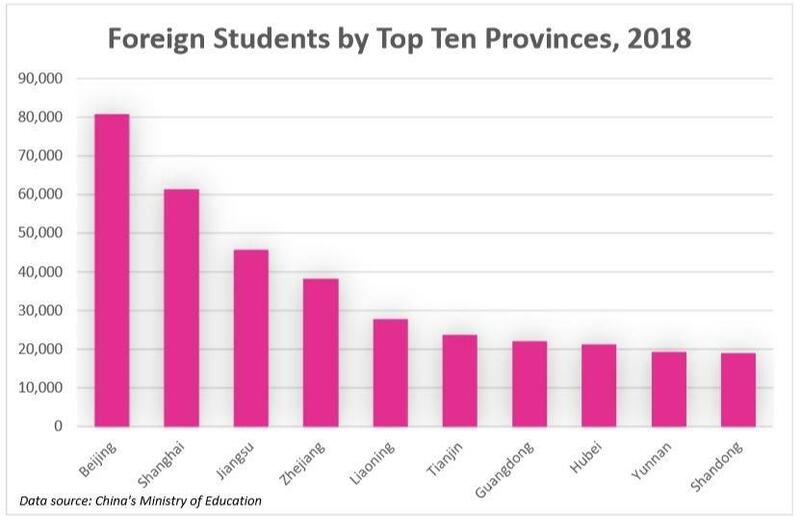 ICEF Monitor shows Beijing had the largest population of international students, with 80,786, or 16.4% of the 2018 total. Other top regions were Shanghai (61,400), Jiangsu (45,778), Zhejiang (38,190), and Liaoning (27,879). There are 195 countries that feed into China's current foreign exchange program, but six out of ten come from neighboring countries. South Korea is the top feeder with 50,600 students enrolled in 2018, followed by Thailand (28,600) in the same period. In the Western Hemisphere, the US sent 21,000 students in 2018. The Ministry of Education showed that 87% of international students are self-funded, with about 63,000 students receiving government-funded scholarships. The slowdown in international students feeding into China comes at a time when globalism has peaked. Now protectionism and nationalism are spreading like wildfire throughout the world, destroying complex supply chains – thus reworking international trade. 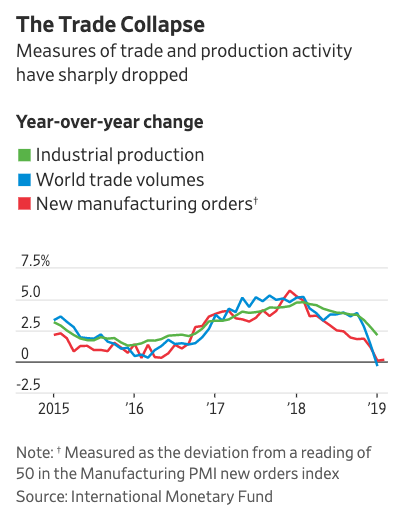 China's economic growth plummeted to its slowest annual rate in 30 years as US protectionism through a trade war stymied global growth. The People’s Bank of China (PBOC) has been pumping cash into local markets to reignite bubbles, along with government stimulus to revive the faltering economy. Given current conditions of a slowing China and faltering globalism, it's likely that foreign students flocking to China for education could reverse into the early 2020s – destroying a near decade trend. Yesterday’s post dealt with how modern monetary theory might help your trading in the current environment. 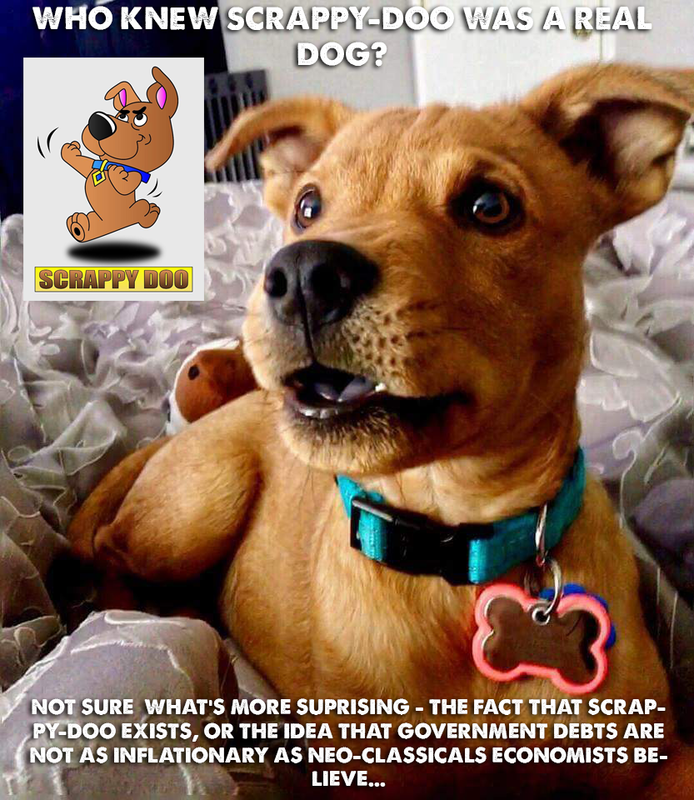 It focused on what I called the descriptive portion of MMT which explains how a modern fiat-based economy works. This next part will examine the implications for markets if the prescriptive part of MMT is adopted. Before we go any further, I would like to highlight that even if you are a die-hard neo-classical or Austrian economics disciple who believes MMT to be nothing more than a rehashing of bad economic ideas from a few centuries ago (a claim that seems to fill my inbox whenever I write about MMT), ignoring MMT’s rising popularity would be about as smart (and effective) as a dog barking at waves in the ocean. As traders/investors our job is not to decide the best way to organize society (we leave that to the much smarter politicians and economists), but to construct portfolios that will perform best under the existing circumstances. If you want to rail against MMT, then you are free to do. But I happen to believe you are missing a valuable tool for understanding how the economy and markets behave in the post gold-standard fiat-based world. If in the coming years politicians adopt MMT policies, your outrage will do your portfolio little good. Therefore you might as well try as best you can to unemotionally analyze the implications of these potential policy implementations. So without further ado, let’s try to determine how best to adapt to the MMT possibility. Since the beginning of the post-crisis recovery, stagnant wage growth has been one of the most frustrating labor-market mysteries bedeviling the policy makers at the Fed. With the unemployment rate at 3.8%, the Phillips Curve dictates that wage growth should be accelerating as employers battle for the few remaining unoccupied workers in a "tight" labor market. One reason for this phenomenon as we have posited in the past, could be the record number of elderly Americans who have lingered in – or returned to – the workforce, unable to retire due to myriad factors, including high health-care costs and inadequate retirement savings. And of course, the advent of the financial crisis ten years ago, which robbed many older Americans of much of their life savings, didn't help. 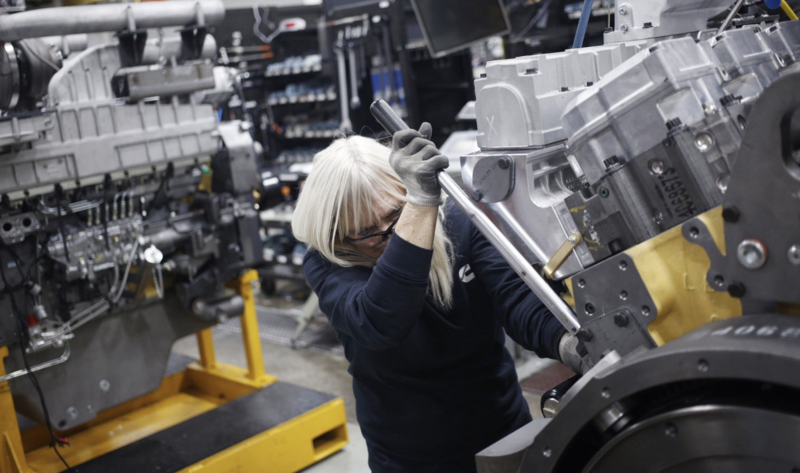 According to Bloomberg, citing a new report from money manager United Income, the labor force participation rate of retirement-age workers has cracked 20% for the first time in 57 years. Going solely by numbers, this means more seniors are working than ever before. Meanwhile, the share of working age Americans in the work force has fallen to its lowest level since the 1970s, before a large number of women entered the professional workforce. Though higher-education elderly Americans have made strong gains in income compared with people in a similar position decades ago, the buffer they've created for hiring managers could be one reason why many companies haven't needed to raise wages to attract more workers. The percentage of the labor force comprising workers aged 65 and older has roughly doubled since 1985. The biggest increase has occurred among older workers with college degrees, who now comprise 53% of all over-65 workers, compared with 25% in 1985. 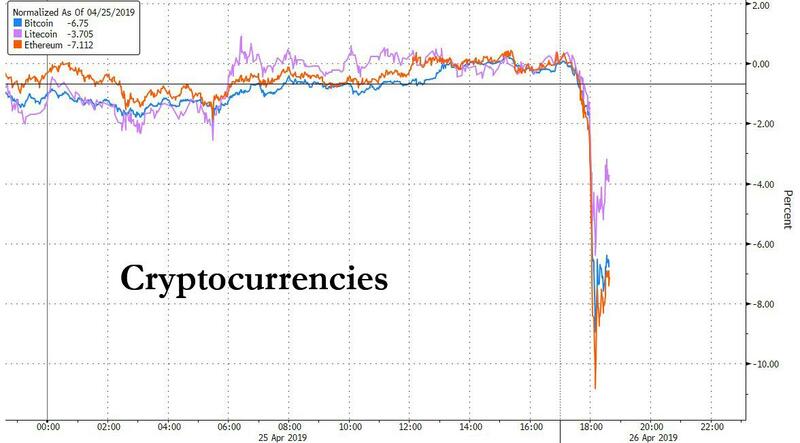 New York’s Attorney General alleged the operator of the Bitfinex cryptocurrency trading platform and the issuer of the Tether "stablecoin" lost $850 million which it subsequently covered up using funds from affiliated stablecoin operator Tether – i.e., engaged in co-mingling of client and corporate funds – to secretly cover the shortfall; the news sparked a sharp selloff in the cryptocurrency space where Bitfinex has long been rumored to be a mechanism to prop up various virtual currencies. A judge in Manhattan issued an order barring iFinex Inc., which operates the infamous Bitfinex cryptocurrency exchange and owns Tether Ltd. from money money from Tether’s reserves to Bitfinex’s bank accounts, halt any dividends or other distributions to executives and turn over documents and information, New York Attorney General Letitia James said Thursday in a statement. Tether is one of the world’s most valuable cryptocurrencies and is used in a significant share of trades involving Bitcoin. The NY AG said iFinex had been commingling client and corporate funds to cover up the missing funds, which occurred in mid-2018 and hadn’t been disclosed publicly. According to the WSJ, the AG's findings emerged from an investigation into cryptocurrency exchanges that it launched in 2018 and is continuing. A report in September warned that many exchanges lacked basic safeguards and left consumers vulnerable to exploitation by market manipulators. The attorney general said Bitfinex’s problems began in 2018, when it handed over $850 million to third-party payments processor Crypto Capital Corp. to handle customers-withdrawal requests. Over the months that followed, Panama-based Crypto Capital failed to process the orders, the attorney general said. By November of that year, according to people close to the attorney general’s investigation, Bitfinex determined that it had permanently lost access to the $850 million. To hide the missing funds, Bitfinex and Tether engaged in a series of maneuvers that drained Tether’s reserves, the people said. 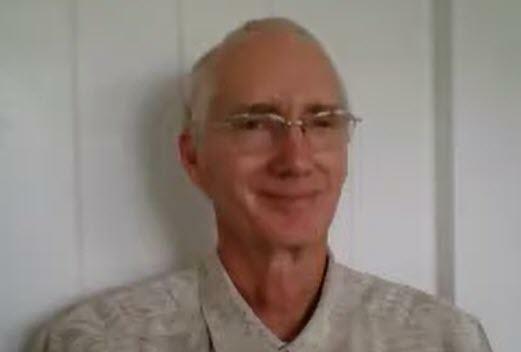 Journalist and book author Charles Hugh Smith says the next market crash and recession will unfold like the bursting of the 2000 Dotcom bubble. Smith explains, “The bubble popped or deflated not for any crisis, but simply because there was too much debt, too much leverage, too much euphoria and unrealistic valuations…"
“I think they do, and I think that’s the only reasonable explanation for why they are talking about rate cuts when the employment is strong and the economy is looking good by many factors. 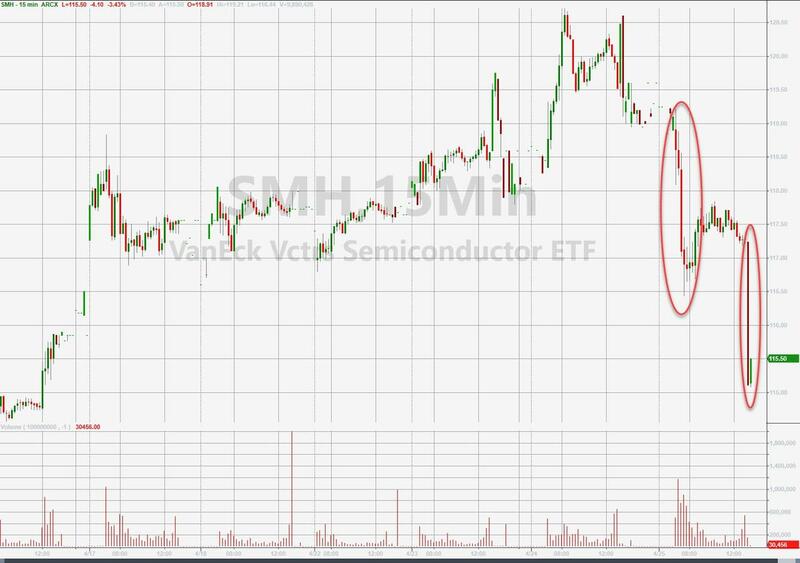 Update: Speaking on the investor conference call, CEO Bob Swan warned that "China headwinds have increased." 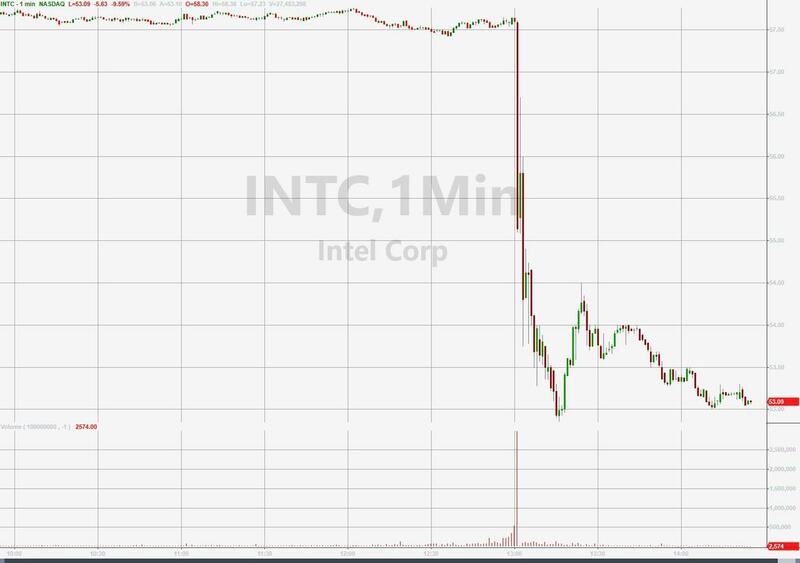 Intel shares are plunging after hours after beating top- and bottom-line but slashing guidance. In its first quarterly report card since Swan took the reins as permanent CEO in January, Intel reported flat year-over-year revenue. "Results for the first quarter were slightly higher than our January expectations. We shipped a strong mix of highperformance products and continued spending discipline while ramping 10nm and managing a challenging NAND pricing environment. 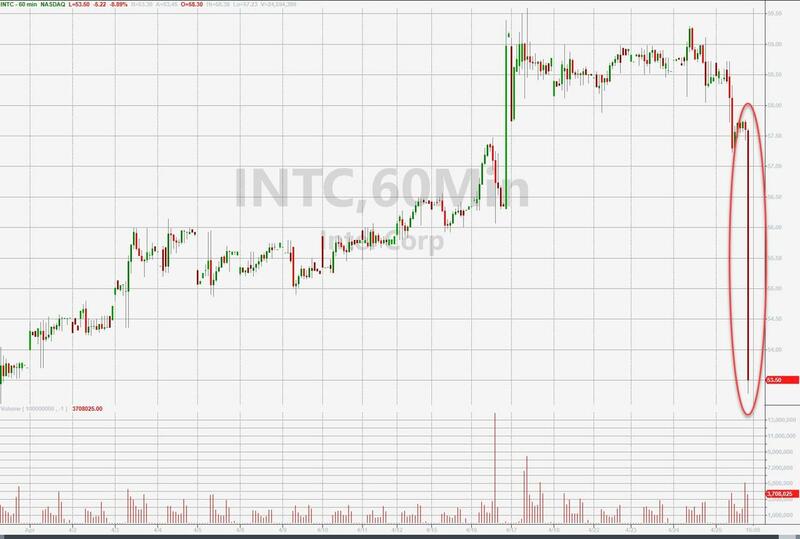 Looking ahead, we're taking a more cautious view of the year, although we expect market conditions to improve in the second half," said Bob Swan, Intel CEO. "Our team is focused on expanding our market opportunity, accelerating our innovation and improving execution while evolving our culture. 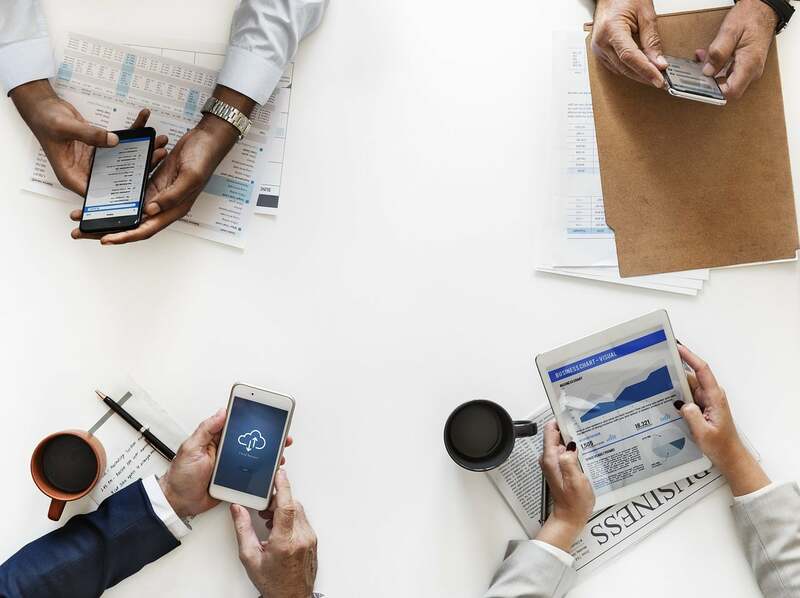 We aim to capitalize on key technology inflections that set us up to play a larger role in our customers’ success, while improving returns for our owners." For the next quarter, Intel estimates $0.83 for EPS (Wall Street expected $1.01) and revenues of $15.6 billion (analysts expected $16.85 billion). As a reminder, last quarter, Intel missed Wall Street's expectations on revenue and earnings. The S&P 500 and Nasdaq Composite had their highest closings on record Tuesday, regaining ground lost in last year’s rout. Stocks have flourished under a more accommodative Federal Reserve. 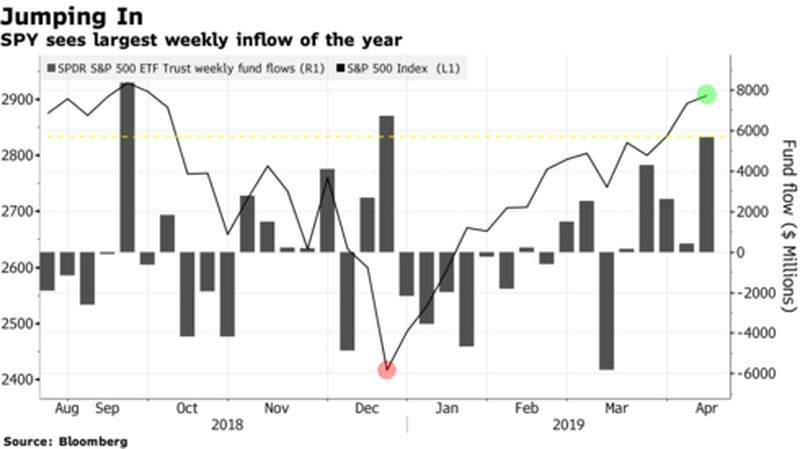 In January, the central bank said it would hold interest rates steady, setting in motion the stock market’s strongest first-quarter run in more than two decades, as investors dialed back up their appetite for riskier assets like stocks. On Tuesday, the stock market hit all-time highs. Currently XLK is on a “Buy” signal (bottom panel) but that signal is “crazy” extended. 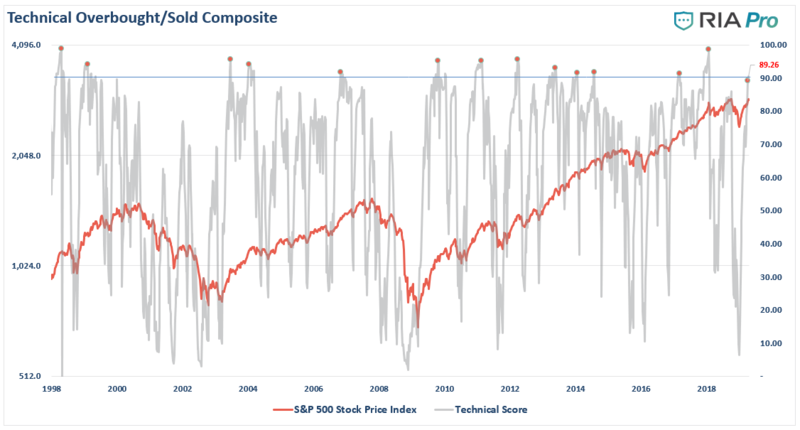 However, the good news is that four sectors have broken out to all-time highs and technology is one of them. This is suggesting the overall market will break out to new highs as well. Of course, the rise in the market since the December lows has quickly “replaced” the panic felt then with an unbridled optimism currently. 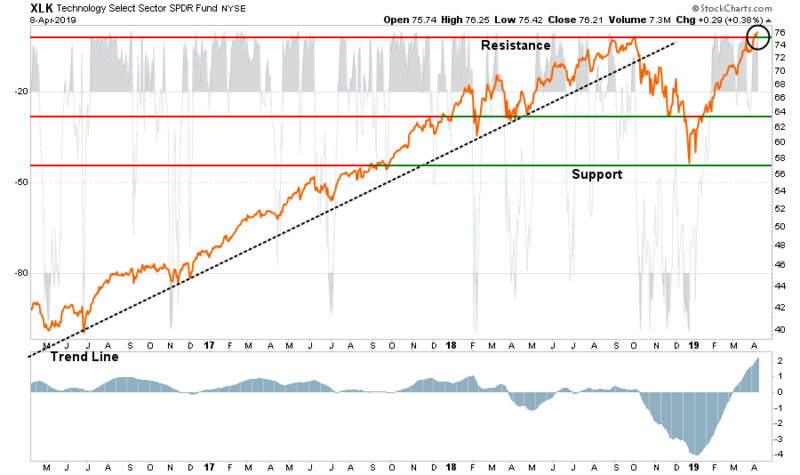 As I showed this past weekend in “F.O.M.O.- The Fear Of Missing Out” and in our RIA PRO Weekly Technical Market Gauge, the bulls are back. 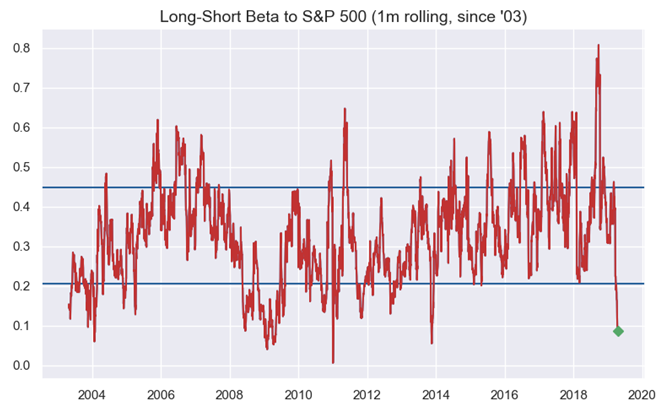 It isn’t just our technical gauge which suggests investors have returned to their bullish ways. The RIA PRO asset allocation composite suggests the same. 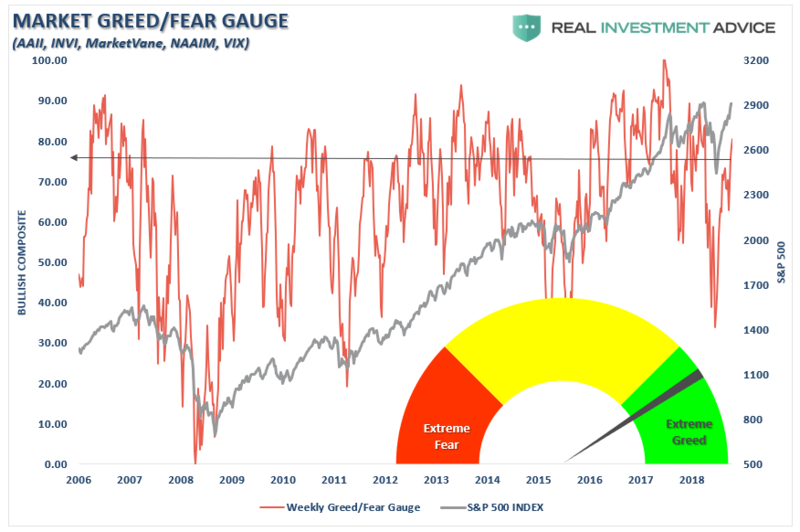 As well as numerous other data points showing investors jumping back into equities with both feet as markets approach all-time highs. “The bullish sentiment by investors, which doubled between Q1 and Q2 of this year, appears, in part, supported by the majority of respondents’ belief that interest rates will remain unchanged this year (67%) and the government will sign economic trade agreements that will help drive the markets higher (61%). 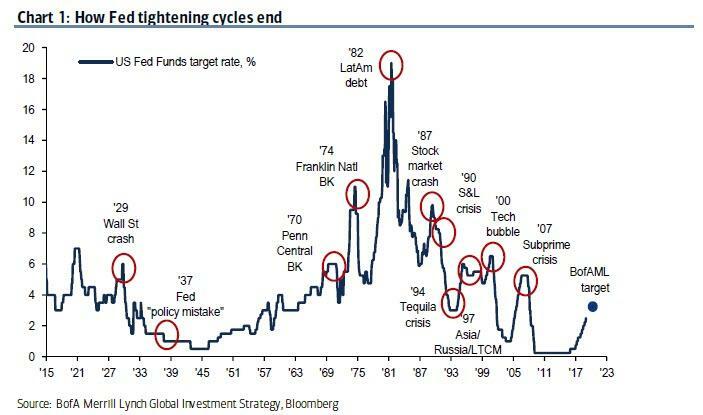 It's a dead horse that has been beaten to a bloody pulp, but that doesn't stop SocGen's resident "permabear" Albert Edwards from listing what he believes are the two main reasons for the market's "miraculous", and record, rebound from the Christmas Eve "bear market" lows: 1) the abrupt U-turn in Fed policy reducing fears of an imminent US recession, and 2) a similar easing of Chinese monetary conditions resulting in a firming up in their economic data. But, Edwards asks in his traditionally skeptical voice, "what happens if the market is wrong in presuming that monetary easing will bring about a rebound in the economic data? What happens if, as the savvy David Rosenberg believes, the Fed has overdone the tightening cycle and the economy is already headed into recession?" To answer that rhetorical question, Edwards looks at recent recessions. First, the SocGen strategist echoes what we showed several months ago, pointing out that equities always rally after the final Fed tightening, even when it later becomes clear that the Fed has tightened too much and recession looms. That said, the endgame is far less rosy, because despite the equity rally, the odds of a soft landing are not good since the last 13 Fed tightening cycles have ended in 10 recessions and/or financial crises. 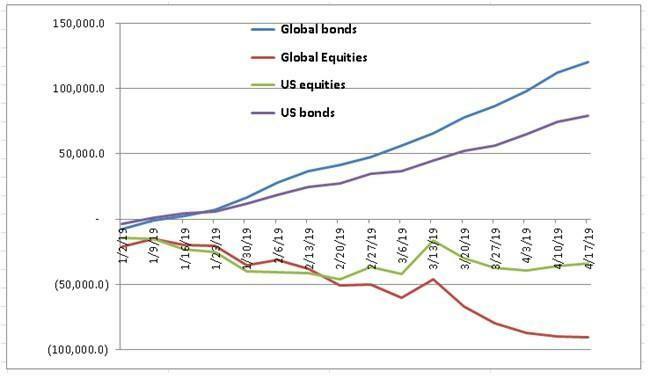 … shows equities peaking after the end of the tightening cycle. Following a sharp drop at the open, equities have not only regained all of today's losses but are once again in record high territory, despite the overnight FX quake which saw the central banks of Japan, Sweden and Turkey all try to hammer their currencies, while the won and yuan both tumbled as the dollar surge, a manifestation of a worldwide dollar shortage according to some, accelerates, while interest rate volatility is once again on the way up. On the other hand, and working against the rally, is what we reported on Sunday, namely that last Friday's Chinese Politburo comments (and ensuing Reuters piece on “RRR cuts to sidelines”) as a hawkish shift away from "broad easing”, and taking some of the "easy money" off the table, especially in China where stocks have suffered their worst weekly drop of the year. Yet while this mornings' disastrous earnings fom MMM spooked traders due to the dismal cross-read on global growth in the second half, with UPS also missing wildly, the melt up has return in full force, so we take this opportunity to publish this visual reminder courtesy of Nomura's Charlie McElligott "why we melted up"… and why we continue to melt up. The Washington Post just cast doubt on President Trump's assertion that Kim Jong Un was unaware of American college student Otto Warmbier's brutal treatment at the hands of the North Korean state by revealing that the US officials who negotiated for Warmbier's release were presented with a $2 million bill for his medical care. 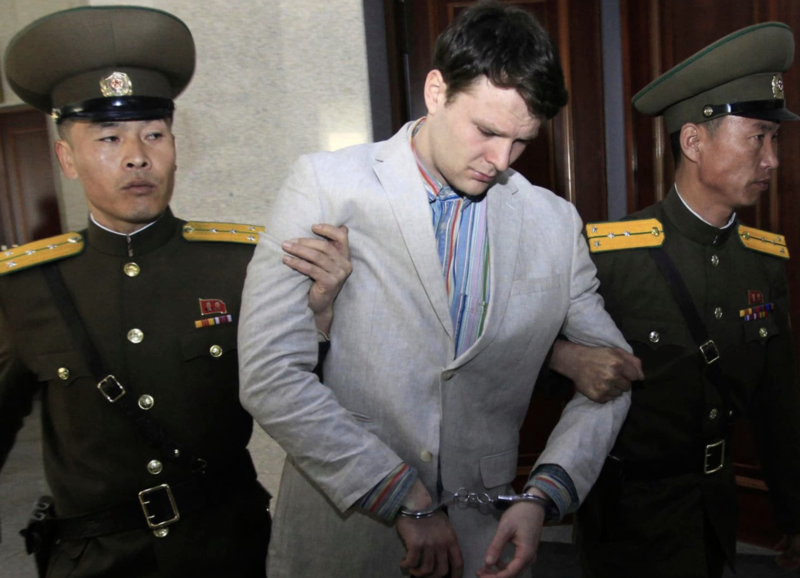 In a report that seems suspiciously ill-timed (hitting just hours after Kim wrapped up his first summit meeting with Russian President Vladimir Putin), WaPo reported that the North wouldn't release Warmbier until the negotiators had signed a document promising to pay for his medical care, which they were instructed to sign by President Trump, who had discussed it with former Secretary of State Rex Tillerson. Warmbier's detention in an exclusive state hospital reserved for foreign patients, the presence of the massive bill, and the quality of care the young man received – which an American doctor begrudgingly admitted was "excellent" – all suggest that Kim likely knew about Warmbier's case, and had probably been following it closely. Once it arrived in the US, the bill was forward to the Treasury Department, where it remained unpaid through 2017. It's unclear whether the administration paid it, though however it was handled, the fact that Trump has now held two summits with Kim suggests that the issue has been settled. Warmbier's family speculated that the bill might have been intended as a ransom. The White House refused to comment on the story. The bill went to the Treasury Department, where it remained unpaid – throughout 2017, the people said. 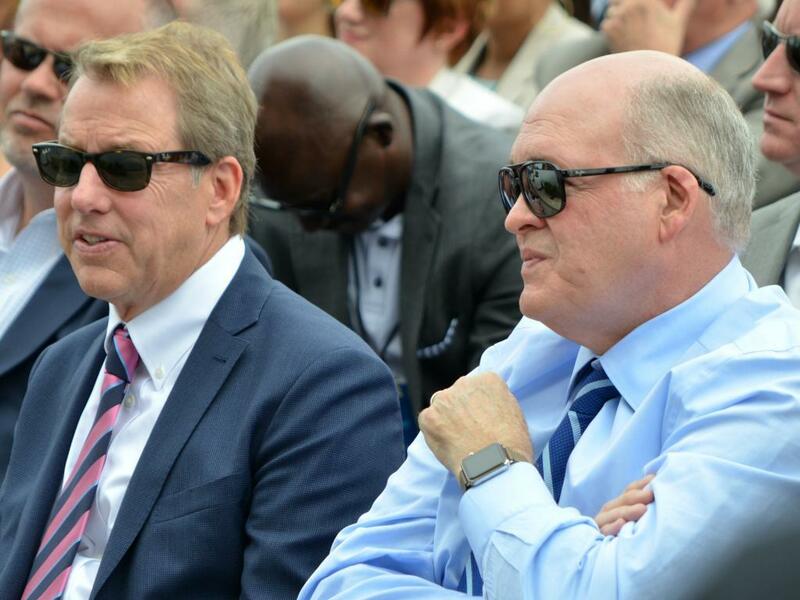 However, it is unclear whether the Trump administration later paid the bill, or whether it came up during preparations for Trump’s two summits with Kim Jong Un. Warmbier, who was a 21, fell into a coma for unknown reasons the night he was sentenced to 15 years in prison with hard labor in March 2016.